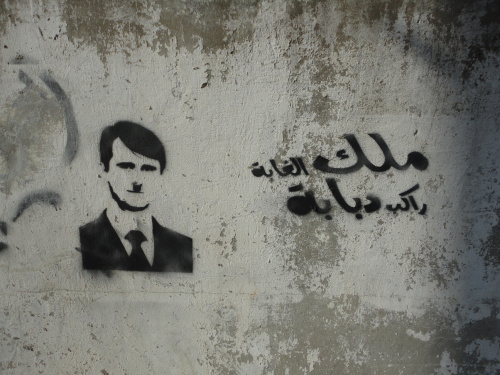 Syria Deeply looks back at some of the history and evolution of the country’s revolutionary art over the past five years of war, including political graffiti, digital art and other mediums that have become part of the language and culture of the uprising. Perhaps the difference between art and political art lies in the fact that the former gives something to the world, while the latter borrows something from the world and gives it back. 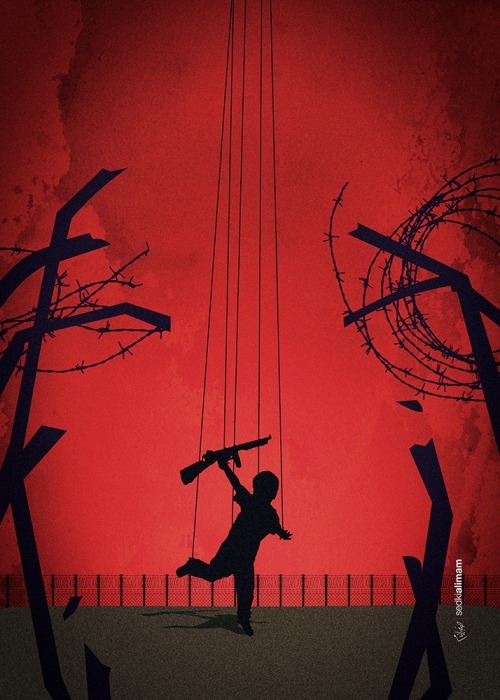 Over the past five years of the Syrian war, many artists and designers have documented their pain in their own way, which is fitting since an act of political art was at the heart of the uprising. 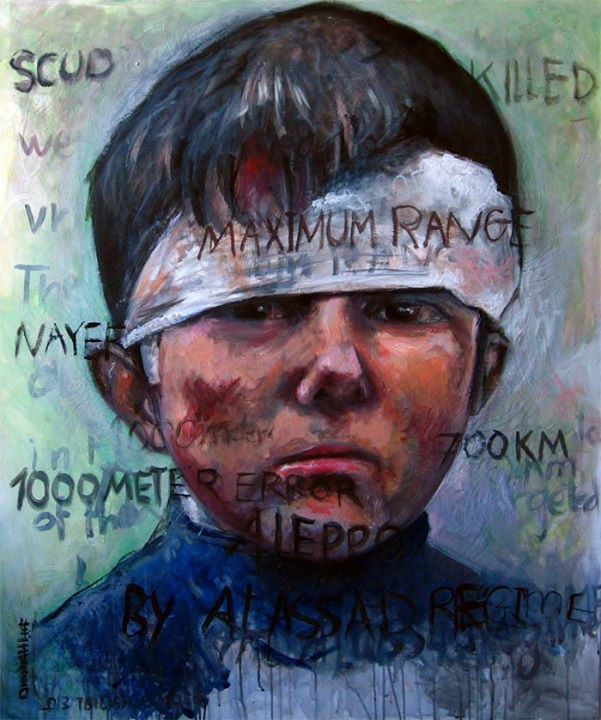 On February 16, 2011, 15-year-old Bashir Abazid and his friends painted several walls of his hometown of Daraa with revolutionary slogans: “The people want the fall of the regime” and “Your turn is coming, doctor,” in reference to President Bashar al-Assad, once a practicing ophthalmologist. Syrian security forces made an example of the children, detaining them and torturing them for more than a month. The news of the detention and torture of the students shocked the country, and is now widely considered one of the main events that sparked the Syrian uprising. Shortly after the incident, street artists all over the region started painting the walls of their cities with similar slogans. 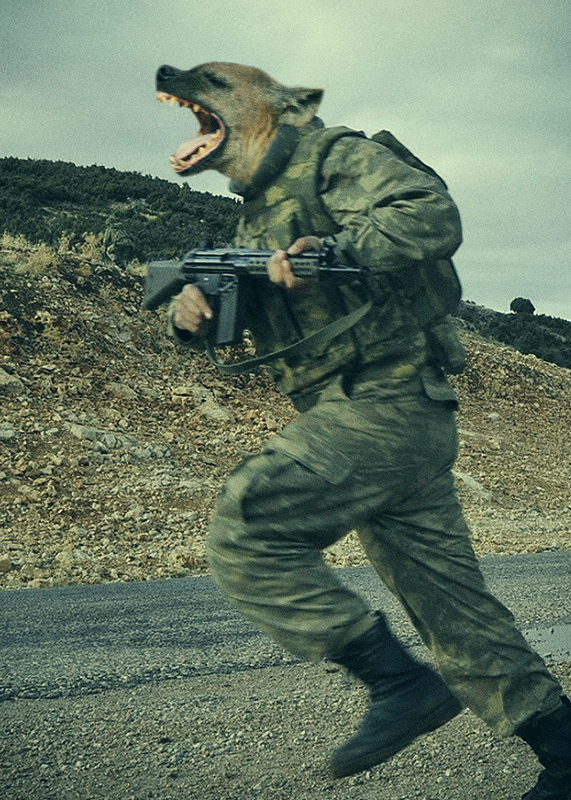 Over the past five years of war, political art has come to become part of the landscape of the conflict, both on the ground in bombed out cities and in the digital world, where different kinds of battles are waged. Digital art, for example, which doesn’t require workshops or studios to produce, and can be distributed across various online platforms that reach millions of people, has become increasingly popular in Syria and other post-Arab Spring countries. The Syrian crisis, said Abdalla, has put Syrian artists under a spotlight, giving them exposure and pushing them to work harder to deliver their messages. “In my opinion, voices of artists reverberate louder than others,” he said. 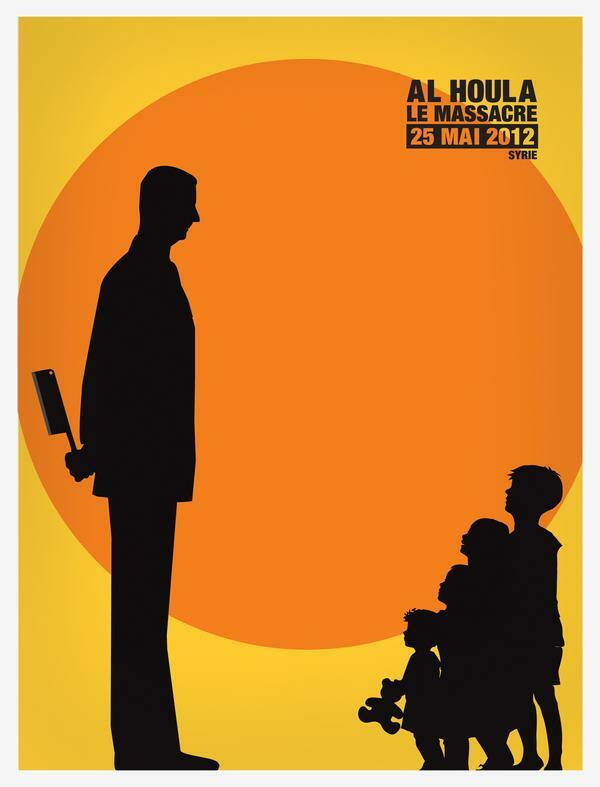 Sedki Alimam, a young graphic designer who fled his hometown of Aleppo in 2012, began publishing posters as events escalated in his country. For Sedki, art became a tool to express the overlooked reality on the ground: “There are no innocent armed men in Syria,” he told Syria Deeply. When it comes to using art as a documentation tool, he believes that the focus should be on all sides taking part in the conflict. “I am with the Syrian Revolution, and anyone who sees my work can easily tell. However, I am against considering the involvement of foreign parties as a solution to the Syrian regime,” Sedki said. 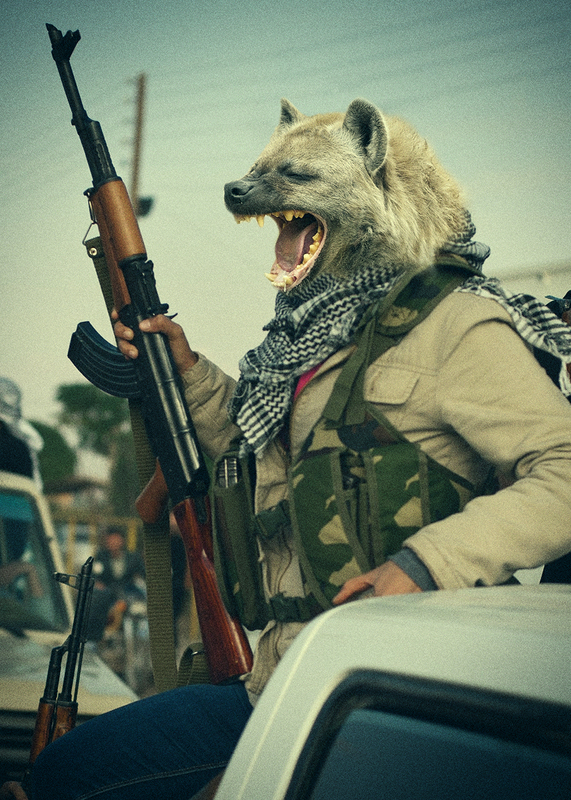 In Sedki’s recent project, titled “Kingdom of Hyenas,” he replaces the heads of leaders on all warring sides with vicious-looking animals. “It shows all fighting factions as monstrous creatures, mercilessly killing innocents, and stealing everything they lay their hands on,” he said. In today’s Syria, said Sedki, human concepts such as morality, justice and dignity are unheard of. 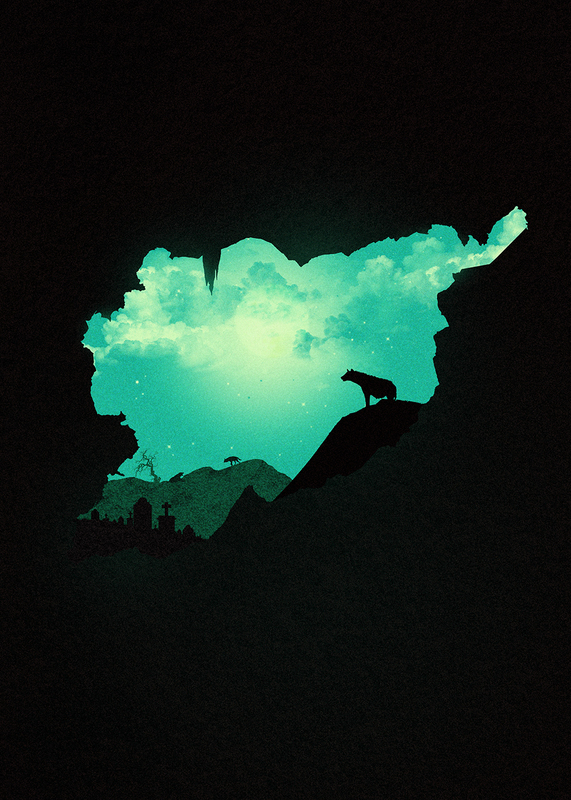 Fares Cachoux, a Syrian artist and graphic designer from Homs, is perhaps one of the most internationally recognized names in the Syrian visual arts scene. He was dubbed the “Designer of The Revolution” for his series of simple, yet powerful posters that offer a timeline of the country’s journey from civil uprising to bloody civil war. “Hamza Is Prettier Than You” (Fares Cachoux). 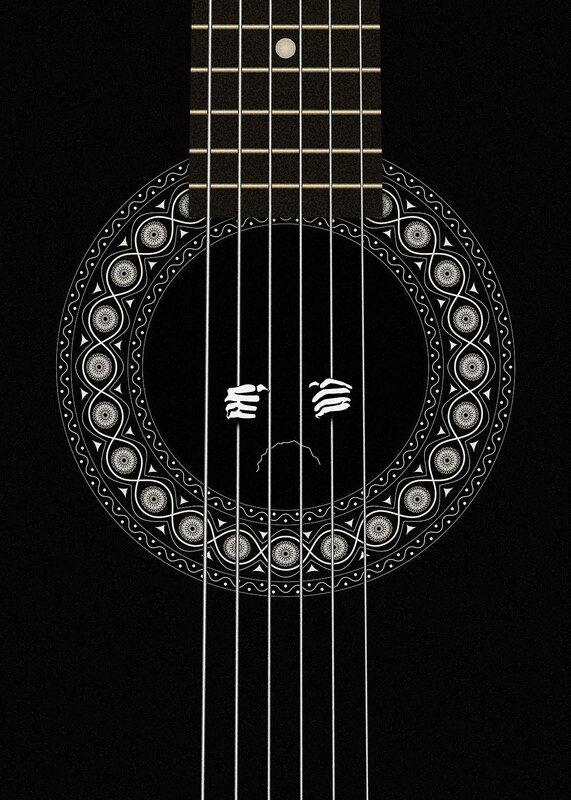 In memory of Hamza Bakkour, a 13-year-old boy who died after an injury to the throat. Cachoux’s works have been showcased in numerous art galleries and exhibitions in Europe, where he hopes the world will see the heartbreaking story of his people and his country. 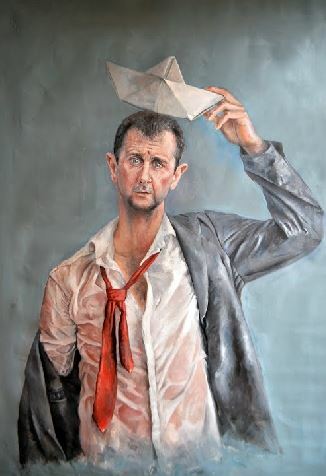 His striking artworks capture everything – from the Syrian government’s crackdown on activists, the Houla massacre, the rise of Jabhat al-Nusra and ISIS, and the Russian government’s support of Assad. 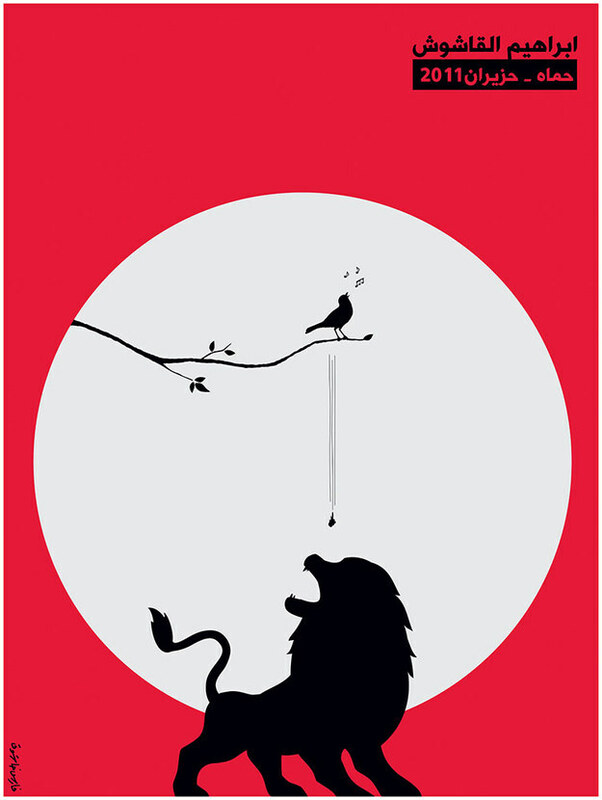 “Daesh” (Fares Cachoux). 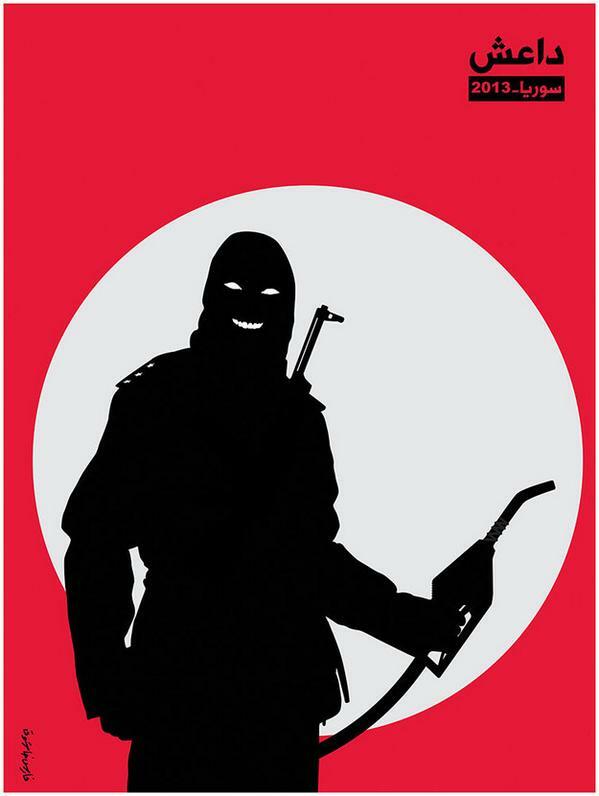 A poster designed following ISIS’s self-declared caliphate. 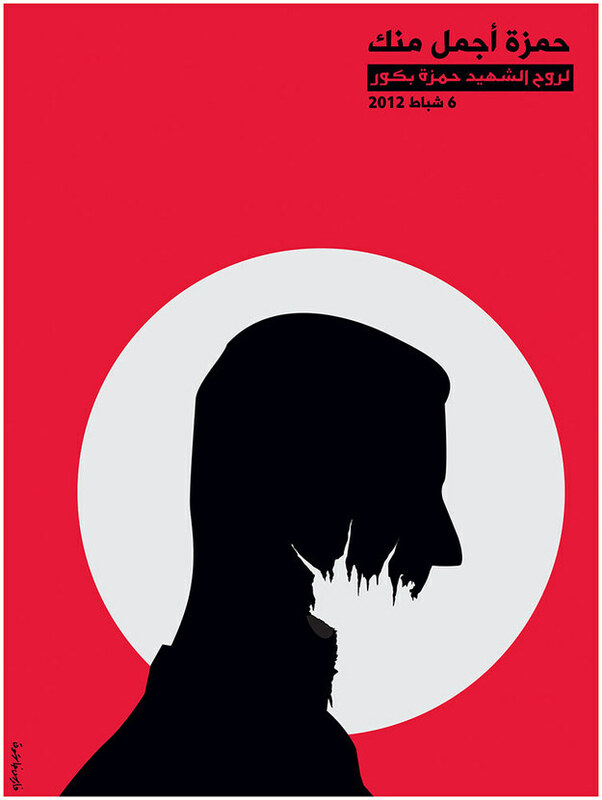 “Jabhat al-Nusra” (Fares Cachoux). 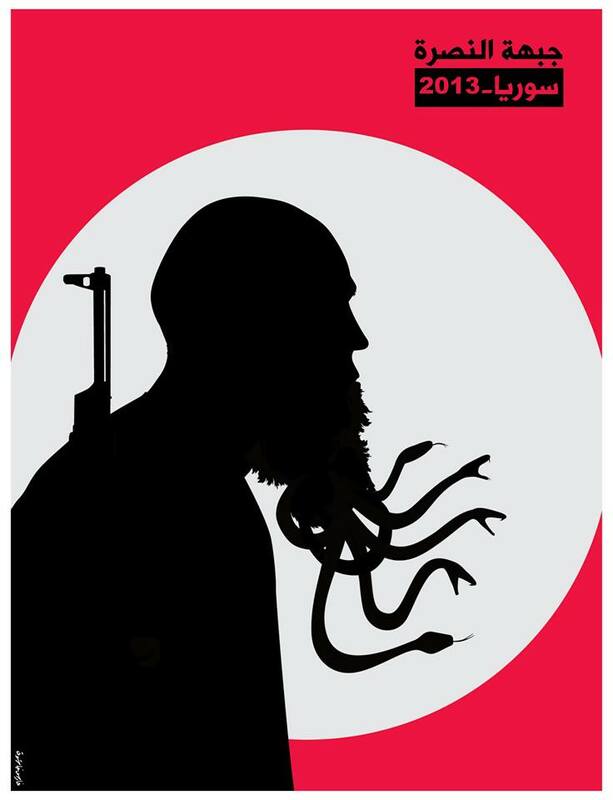 A poster following the emergence of al-Qaida’s branch in Syria. 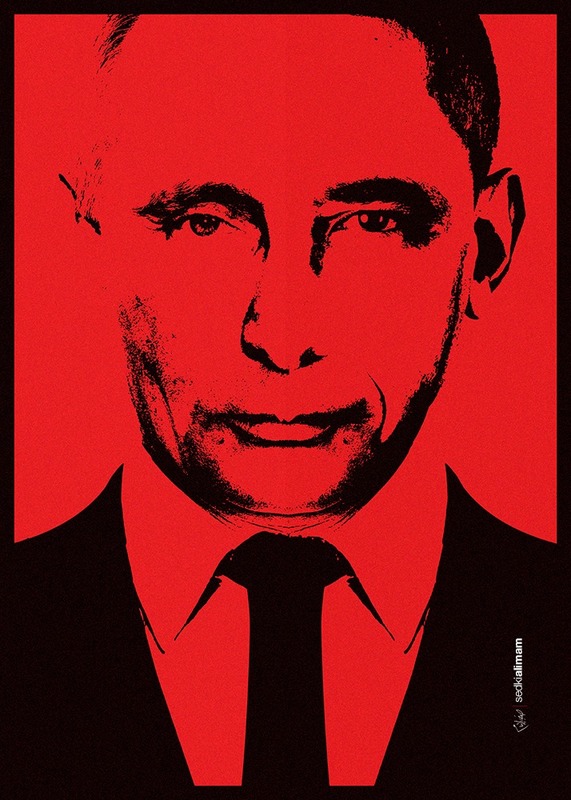 “Lavrov” (Fares Cachoux). 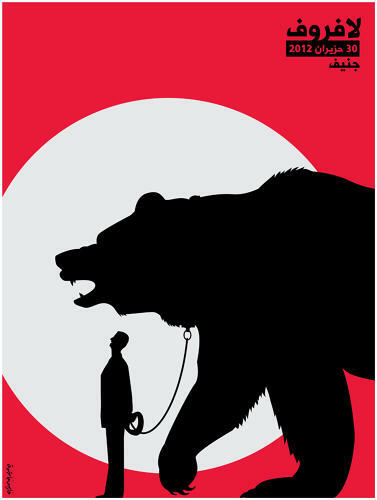 Depicting the relationship between Assad and Russia. “For the first time, we have millions of pictures and millions of hours of recordings depicting a conflict from the very beginning,” he said. Unlike World War II, where events were covered solely by print and state media and often took the form of propaganda, information from Syria is reaching the world in a faster, more direct and sometimes more reliable way. “It’s as if the world is able to watch the war live as it happens,” said Fares. Visual art also plays a vital role in sending out a message to the world using a universal language. “You don’t need to be a Syrian or an expert on Syria in order to understand a simple poster,” he said. Despite the fading memory of the peaceful revolution, Syrian artists believe that years from now, the artistic memory of Syria will bear witness to the uprising turned civil war turned multi-pronged proxy war that has torn the nation apart.